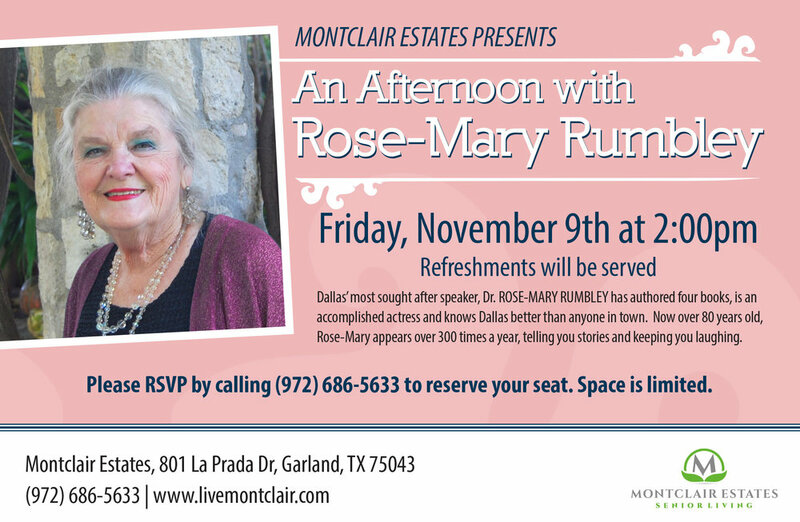 Join us for an exciting afternoon with Rose-Mary Rumbley! We will be hosting an afternoon with Dr Rose-Mary Rumbley who is an accomplished actress and author of four books. Join us for an afternoon of stories, smiles and laughs. This is an event you cannot miss!